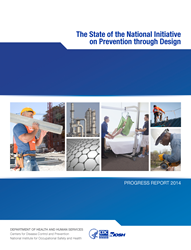 The national initiative on Prevention through Design (PtD), was launched in 2007 with the goal of designing out occupational hazards to protect workers. PtD encompasses all of the efforts to anticipate and design out hazards to workers in facilities, work methods and operations, processes, equipment, tools, products, new technologies, and the organization of work [Schulte et al. 2008]. Too often, workers (including those who perform maintenance tasks) have not been considered in the design process. The focus of PtD is on workers who execute the designs or have to work with the products of the design. The initiative has been developed to support designing out hazards, the most reliable and effective type of prevention. PtD can be practiced at all levels of the hierarchy of controls, but it is most effective as the means to eliminate hazards.